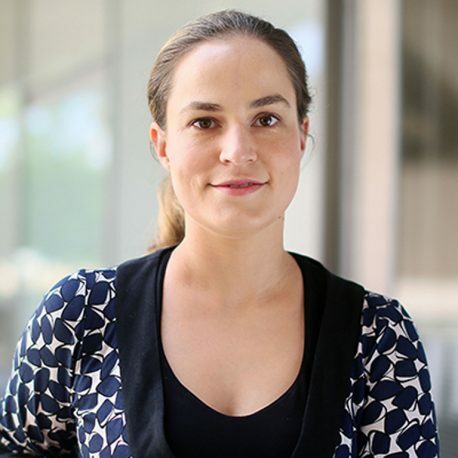 LA JOLLA—Silvana Konermann, a research associate in the lab of Helmsley-Salk Fellow Patrick Hsu, was chosen as one of 15 inaugural Howard Hughes Medical Institute Hanna H. Gray Fellows. Each fellow will receive up to $1.4 million in funding over eight years. Konermann, who received her PhD in neuroscience from MIT, aims to use powerful genetic tools to untangle the complex web of genes that predispose a person to Alzheimer’s disease. A gene called APOE is one of the strongest risk factors for the devastating neurodegenerative disease. One variant of the gene is protective while another increases risk. By systematically knocking out parts of the genome with the gene-editing tool CRISPR-Cas9, Konermann will hunt for other genes that potentially interact with APOE. The Hanna H. Gray Fellows program seeks to increase diversity in the biomedical research community by supporting talented early career scientists from groups underrepresented in the life sciences who have the potential to become leaders in academic research. In this two-phase program, fellows will be supported from early postdoctoral training through several years of a tenure-track faculty position. The program is named for Hanna Holborn Gray, former chair of the HHMI Trustees and former president of the University of Chicago. Under Gray’s leadership, HHMI developed initiatives that foster diversity in science education.